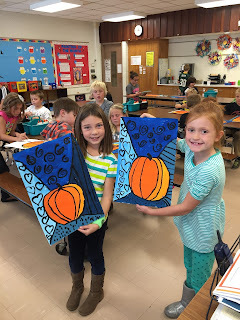 Second graders finished up a pumpkin painting last week that focused on color value. 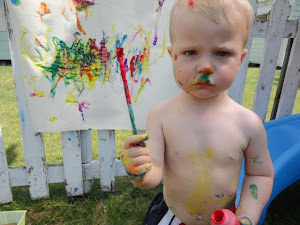 Every kid LOVES to mix colors - so this project was a hit! The first day we drew a pumpkin with pencil and painted it. 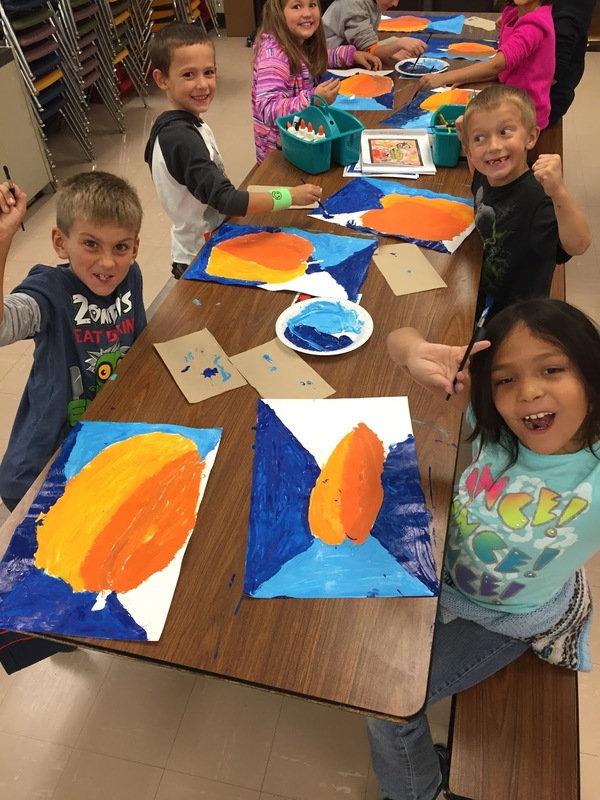 I taught them how to mix five values of orange using yellow, orange, and black paint. The number one rule about mixing paint is to add the darker paint to the lighter paint. The second day, students applied what they knew about mixing to make four values of blue for the background. Blue is orange's compliment. 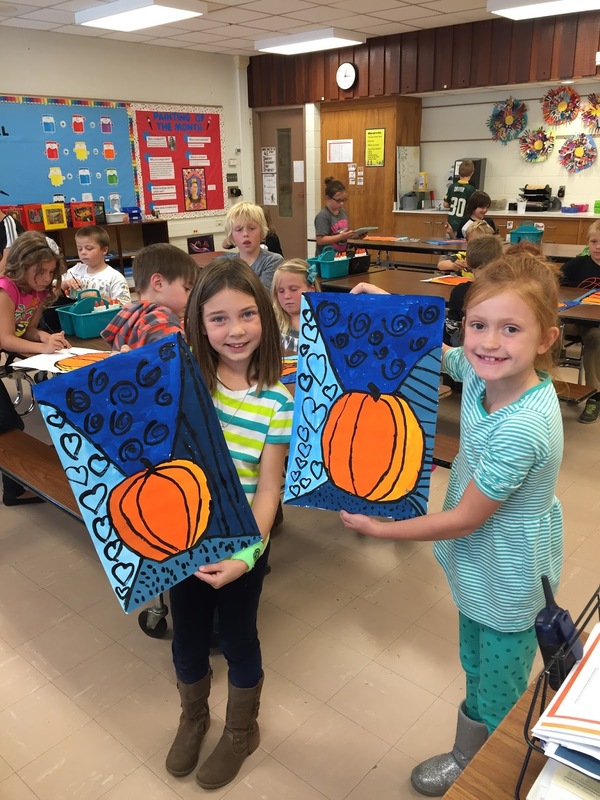 Finally, on day three, students used a small brush to outline the pumpkin with black and add patterns to the sections in the sky.